Christian holds a degree in Psychology and two Master’s degrees, in Library & Information Studies and in Business Administration. 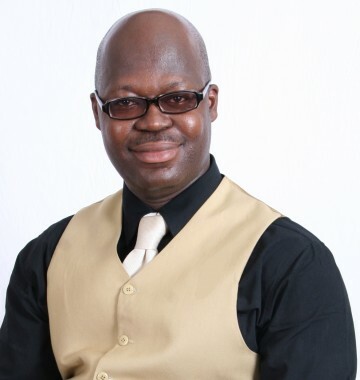 His experience working in academic administration, service quality management, and personnel talent development and management led him to roles in the telecommunications and financial sectors, and as an adjunct lecturer in University of Accra, Ghana. Together with his wife, Patience, he has three daughters. Christian’s passion is to see people operating in the marketplace, businesses, commerce and government with honesty and integrity, working proactively and developing sustainable solutions and strategies. “My vision is to equip men and women with the knowledge and information to make an impact in their workplace”. Christian was connected with Lifeline through another Ghanaian network member, Dr Albert Kitcher, in 2010. This connection has grown into a relationship of empowerment and close collaboration; sharing knowledge, information and resources and looking to the future to see what this will achieve. Christian’s current role with Standard Chartered Bank involves the development and training of people managers and, specifically, discovering and facilitating talent in the West Africa region, including Liberia and Sierra Leone, where Lifeline is currently involved. Christian also provides direction for the growth of community-based groups, career guidance, youth counselling and marriage guidance in his community, and is making plans to provide medical outreach services into local communities.